Brave and Happy: Passion and Goals! Can you have a goal without a plan? There was a time that I believed a goal without a plan was just a dream. Now, I think that some of the best goals swell our hearts with anticipation before we have a clue how to get there! Big, audacious goals can take time. Early on, that time may simply be spent figuring out exactly what your "End in Mind" actually looks like. I have heard the goal, "I want to write a book," from several folks. The next question is always, "What will your book be about?" The was a time when I gave very little credence to the answer, "I don't know." Not anymore! Perhaps finding the answer to that question is the burning question! The burning question that causes the writer-to-be to seek out his/her greatest passion and bring it to life through words. If you have a goal, and you are not sure how to bring it to life, keep asking yourself questions until your answers lead you to your plan! 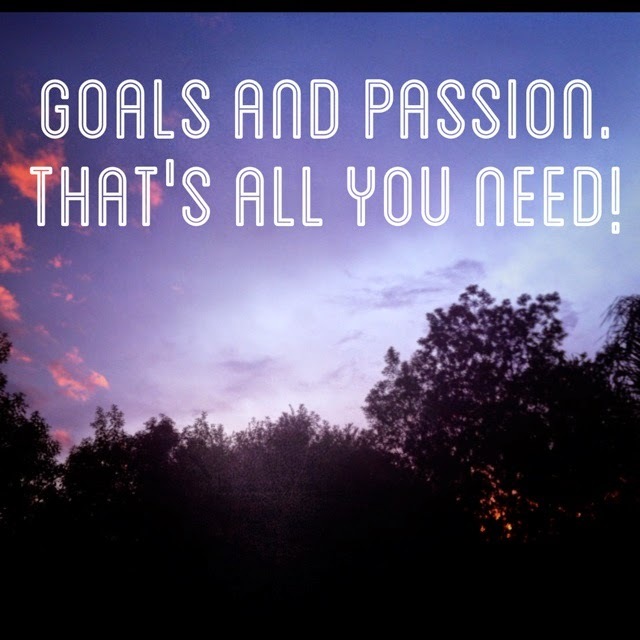 Passion and goals lead to plans for success!